Cutting your own hair may seem like a recipe for disaster, but with the right style it’s easy to save a few bucks doing the job at home. The buzz cut is one of the most timeless haircuts a man can get, and it’s also the easiest to do yourself. With a few simple tools and a bit of practice, you can give yourself professional-quality buzz cuts without having to wade through year-old magazines at your local barber’s shop. Here’s how to do it. A good pair of hair clippers will make the job a lot faster and easier. Don’t try to use your beard clippers to give yourself a buzz cut; you can save that for detail work once you’re done. You can find a decent pair of clippers online or at your local drugstore for less than $50. Most hair clippers should come with several guard sizes. If you’re trying to decide between kits, choose one that has #2 and #3 guards as these are the most common for buzz cuts. Once you’ve got your own set of clippers, make sure to clean and maintain them after each use. A basic hand mirror, used along with your bathroom mirror, will help you see the back of your neck for trimming work. If you don’t already have one, you can usually pick one up for a few bucks at most drugstores. Finally, while a broom and dustpan will do the job of cleanup, buzz cuts get tiny hairs on just about every surface of your bathroom. A vacuum with a hose attachment will make cleanup much faster and easier. 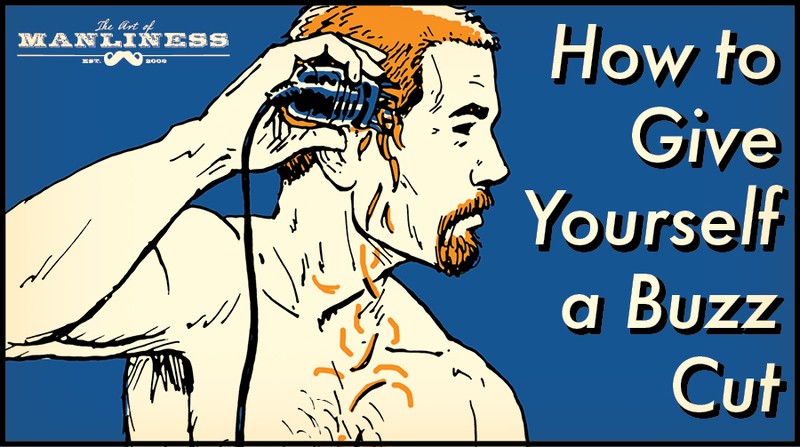 Before you plug in your clippers and go to town, do yourself a favor and check your head for the types of strange lumps and bumps that could make a buzz cut a poor decision for your head shape. Keep in mind, no one’s head is perfectly round or smooth. But, scars, skin tags, and bumps will all be visible with a super short buzz cut. To check your head, simply run your fingers carefully over your scalp, feeling for any abnormalities that you might not want to expose with a buzz cut. Clippers work best on clean, dry hair. If you don’t use shampoo every time, do it this time. Oily or greasy hair is more difficult for the blades of a clipper to slice through, leaving you with an uneven buzz cut. You’ll also end up going over the same areas multiple times trying to cut the same slippery follicles. Once your hair is clean, let it fully dry before you start cutting. With your tools assembled, plug in your clippers and choose your guard size. It’s always best to start with something that errs on the side of being too long. Most barbers perform buzz cuts based on the golden 3-2-1 rule. That means a #3 guard on the top, a #2 guard on the sides, and a #1 guard to trim up the edges. 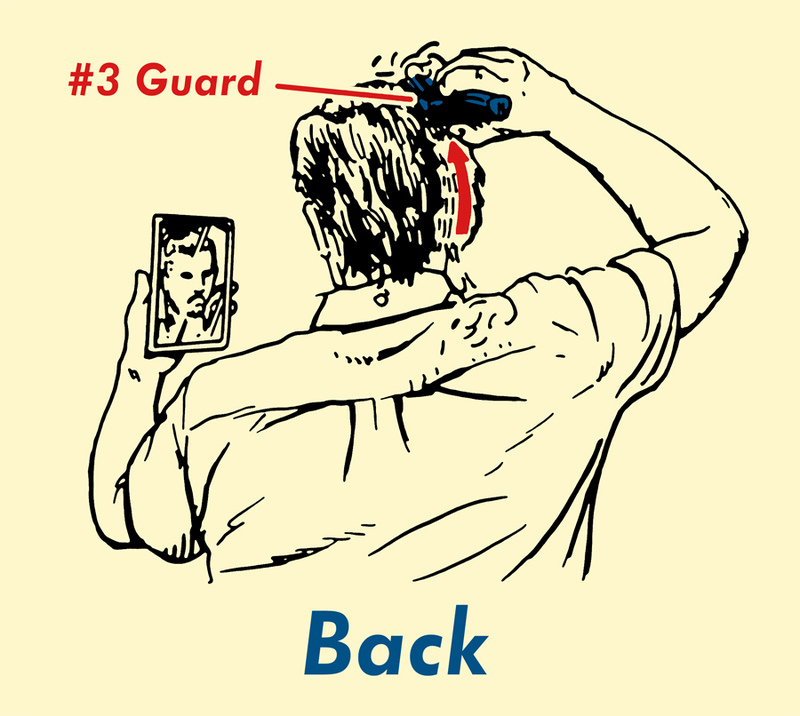 A #3 guard is common to start with because it’s about as short as you can go before you start seeing your scalp. Going shorter than this will give your hair a 5 o’clock shadow look rather than a buzz cut. When you’re ready to do the back, stand with your back to the bathroom mirror and hold up your hand mirror in front of you. Adjust the hand mirror so that you can see the back of your head reflected in the bathroom mirror. 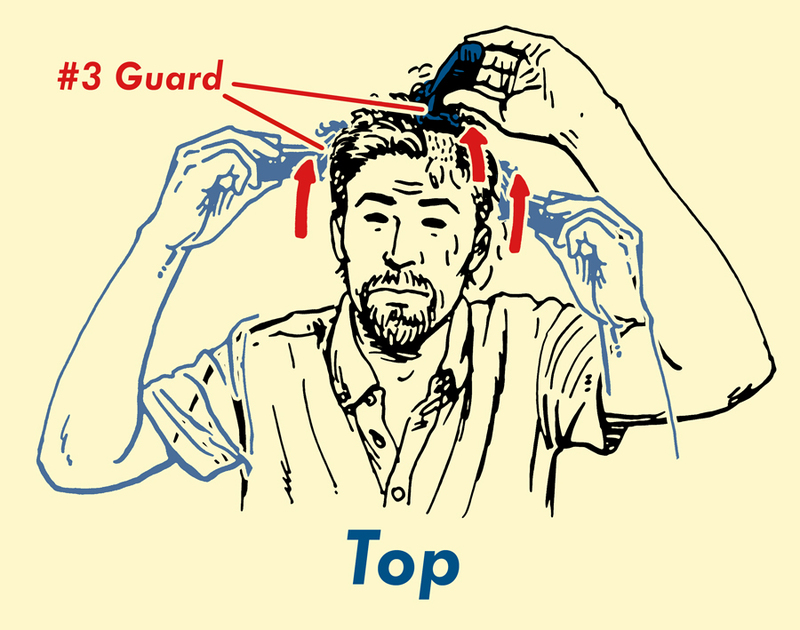 Hold this position while you run the clippers from the back of your neck up toward the top of your head. Once you’ve done your entire head, move down one guard size (to the #2 guard) and trim down the sides, again moving from bottom to top. Why make the sides a little shorter? The hair on the side of your head tends to appear fuller than on the top of your head. Making it a bit shorter makes the buzz cut appear more uniform overall. 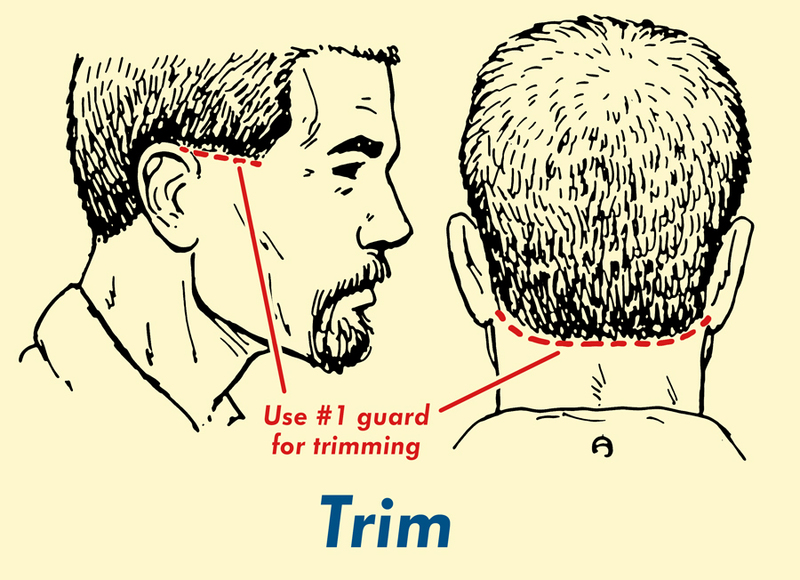 There are two main areas to trim once you’re done with your buzz cut: the sideburns and the back of your neck. 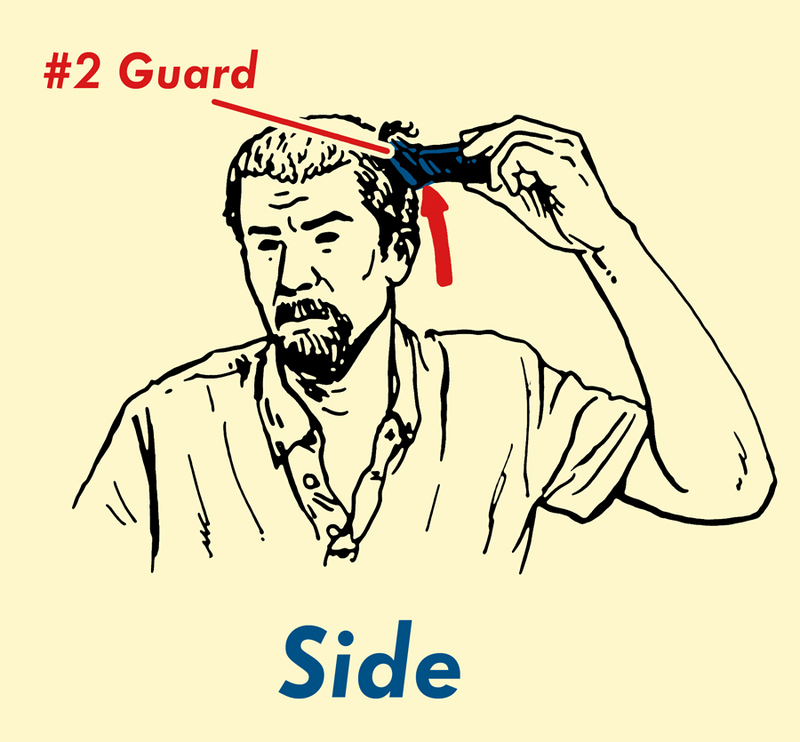 To start, pop a #1 guard onto your hair clippers. To do your sideburns, place the base of the clippers flush with the side of your face, just below your sideburns. Slowly slide the clippers up until the top edge is at the height you want your sideburns. Then, slowly pull the clippers straight through the hair and away from your face. Trimming the back of your neck is the most challenging part of a buzz cut. If you aren’t comfortable using the hand mirror to do this precision task, you can ask a friend for help or simply leave the hairline natural in back. If you’ve got an impressively hairy neck or unusually asymmetric hairline, then use your hand mirror to carefully trim a straight line across the back of your neck. Once the straight line is established, round the corners on each side to finish the job.